IGL TeleConnect attended the Northwest Iowa Ag Outlook Conference and Trade Show on Feb. 19, 2019. The annual show ran from 8:00am – 4:00pm and featured over 90 exhibitors, informative speakers, and prizes throughout the day – including a 30 oz. Yeti Tumbler donated by IGL TeleConnect. IGL TeleConnect techs and customer care representatives were at booth #148 throughout the day to answer any and all questions about IGL TeleConnect Services. 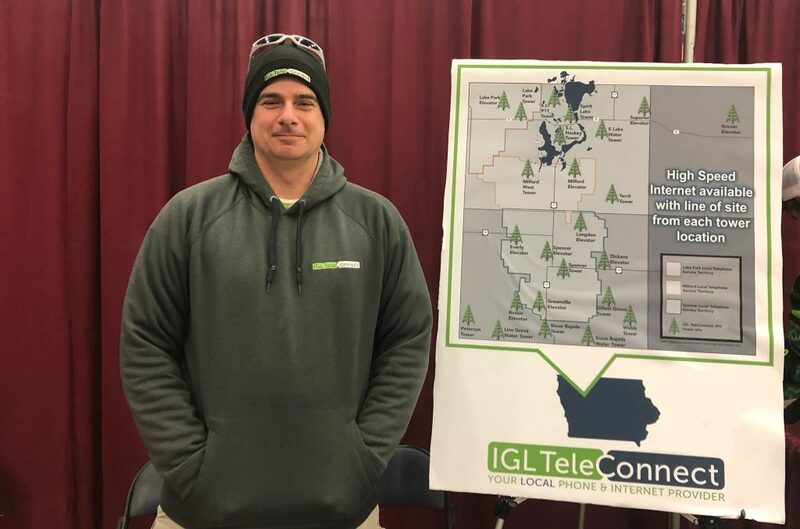 IGL TeleConnect is proud to serve the rural community in Northwest Iowa by providing affordable, reliable, high speed internet. Founded in 2015, IGL TeleConnect realized there was a disconnect between the rural farm communities and quality internet service and decided to do something about it. Since then, IGL TeleConnect has been proudly providing internet service to rural communities throughout Northwest Iowa.